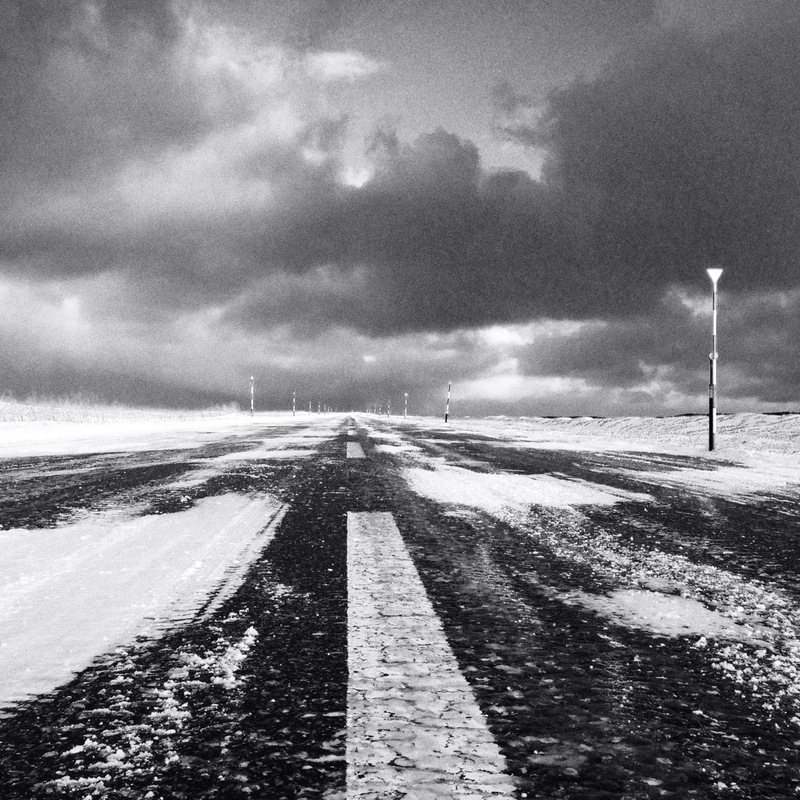 This entry was posted in Uncategorized and tagged B&W, Black and White, Creativity, Hokkaido, Ice, Instagram, iPhone, iPhoneography, Japan, Photography, Phototoaster, Road, Snapseed, Snow, Turbine by nixonphoto. Bookmark the permalink. Did you get out of Massachusetts before the blizzard? Winter here (I’m in Somerville, MA) makes me feel stuck too & my iPhone play sometimes helps a lot. A big one for me is that my photography does not look like my husband’s. Mine is much more colorful and playful and that’s okay. He’s grown and changed and is much more supportive of the fact that my vision is not his vision. Using your phone is a big one too – I take a lot of good pictures with it. Fun things that can sometimes be remade into surprisingly nice photos for my blog. Also for me – the realization that doing my photography is more of an excuse to get outside and away from the computer. I love taking my camera and taking pictures, but the end goal is being outside. Lately I’m walking the dogs a lot, so no camera. And that’s okay. I have plenty of pictures in my inventory. You know I think owning the ‘why’ around photography is so important. Many times it can be a passport into a world that you wouldn’t otherwise have access, or an excuse to spend more time outside! Understanding that, being comfortable with it, and then letting the photographs come when the come is much less frustrating than trying to make the great photograph every time you pick up the camera. It’s also good and important to accept that you’re uniquely you and that will come through in your photographs if you will let it. Fantastic to have supporting family. “I’m just playing around” is probably the thing I say most when I’ve got a camera in my hands. I might even have muttered it in your direction once or twice on our trip through Hokkaido. I think because I don’t have one particular style (I seem to have a few! ), and I don’t just have one camera, it all feels like play. Perhaps there are ‘rules’ that I impose on myself that I haven’t really thought about (I really like that you ask me questions that I have to really *think about* to answer), so I can’t tell you what they are. As you probably noticed, tripods to me are cumbersome objects that very often get in the way of what I want to do. That being said, they do have their place in my photographic world when I need them to. I like that you are playing. I believe that everyone, no matter how old, might be surprised by what happens if they give it a try. Maybe your rule is not to follow the rules? Not to stick to one camera one lens but to relish in the freedom that comes from not being tethered to a tripod, not being restricted to a singular format or medium? And… I bet if you look back at your photos regardless of camera there will be a discernible style. Whoosh! You have to play and have some fun. Life would get boring otherwise! Thanks for the support. Looking forward to talking more. It should be play (or fun) or it’s really hard to keep going. Switching it up is great. Thanks for continuing to raise these deep issues relating to artistic work. You’re right – you have to find the fun in everything otherwise it makes it tough to keep moving forward. Thanks for adding your voice to the conversation. I have been chronically depressed most of my life. I decide to no longer feed into and decided to be happy regardless of my circumstances. A friend of mine who travels extensively said when someone commented on how much she enjoys life. She said she works hard and plays harder. I’ve been working on a novel since 2007. I could have finished it years ago. I became ill thus depressed. After I read my friend words I was prompted to complete my novel and I have and working on book two. How awesome that you’ve been able to talk command of your health and move ahead with your projects. You are an inspiration to all of us. Thank you for sharing your story. Inspiring that you returned to your waiting novel! No use thinking back to when it could have been finished. You’re moving forward and that’s fantastic! We need to read your story! Thank you for your encouraging words. I do appreciate them. What a tragic story! That sense of desolate isolation was certainly where I was going with this image. Captured perfectly what I was feeling about Hokkaido. Good to push beyond accepted norms in all our work – how do you know where the limits are if you don’t bump up against them occasionally? keep your heart open. give yourself permission to wonder. there are no right answers. trust the process! Excellent advice – words to live by! I tend to break a lot of compositional rules. I place a lot of horizons in the middle, like out of control light situations, etc. Basically, I make images of moments that make me feel something, and worry about making the image match what I felt when I was prompted to take the photo. It may not be anyone’s idea about what “good” photography is, but it’s authentic, and I have to stay true to what moves me or it’s all pointless anyway. Interesting question. It resonates. I believe I have created a lot of rules imposed upon me. Most current example – I actually have multiple ideas for blog posts piling up in my head. But I have been putting them on hold, as I have not completed my Japan trip posts (that visit was last October). And the perfectionist in me wants to keep the Japan posts in an uninterrupted sequence. Also held back, by those pending posts, is the processing of my Nikon photos taken on that same journey – which I had promised to show to various people. Subconsciously, I may have designed these rules as a psychological trick creating artificial pressure, so that I would be compelled to still complete the Japan trip. That “trick” doesn’t work, though. So far, It has just caused not doing any of the above. My solution, I am attempting now – find whatever kind of conclusion for that trip – e.g. lower my expectations on the outstanding posts. I may summarize multiple days into one post, or something. Or simply do one or two final posts, as the day-to-day details have semi-slipped away from my memory anyway. P.S. I had also faced the mobile phone camera versus DSLR dilemma at one point. How I do it now: I consider camera photos as not serious and post them on Instagram (also happily use all the post-processing filters offered), while I reserve my professional camera photos for dedicated album websites.